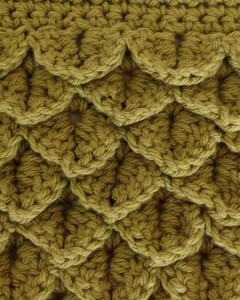 The Crocodile Stitch is one of the most popular crochet trends right now! This fun stitch creates a wonderful texture – it’s named after the scales of a crocodile, but it can also be used as flower petals or other similar textures. This is an intermediate skill pattern, due to its complexity. I recommend that you have experience with front post double crochets and V-stitches before attempting this project. 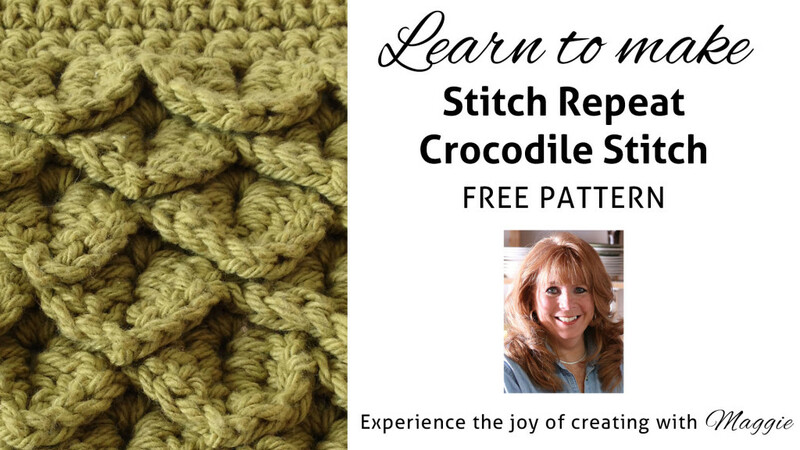 Click the photo for the Crocodile Stitch pattern. This stitch repeat can be worked with any size of yarn, but worsted weight yarn is a good size to practice with. It’s what we used in the video, along with a size H-8hook. If you choose a finer or bulkier yarn, just be sure to adjust your hook size accordingly. 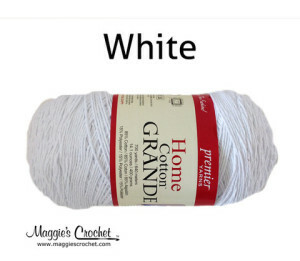 Click the photo to shop Home Cotton Grande Yarn. 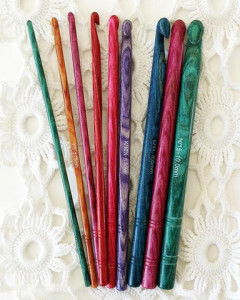 Dreamz wooden crochet hooks are a favorite here at Maggie’s Crochet – they have a deep cut head to prevent your stitches from slipping, and the polished wood is comfortable and warm in your hand. Click the photo for Dreamz wooden crochet hooks. Maggie is excited to offer Five Free Stitch Repeat Patterns: Crocodile Stitch, Mosaic Plaid Ripple Stitch, Lacy Bobbles Stitch, Rickrack Stitch, and Beachy Waves Stitch. 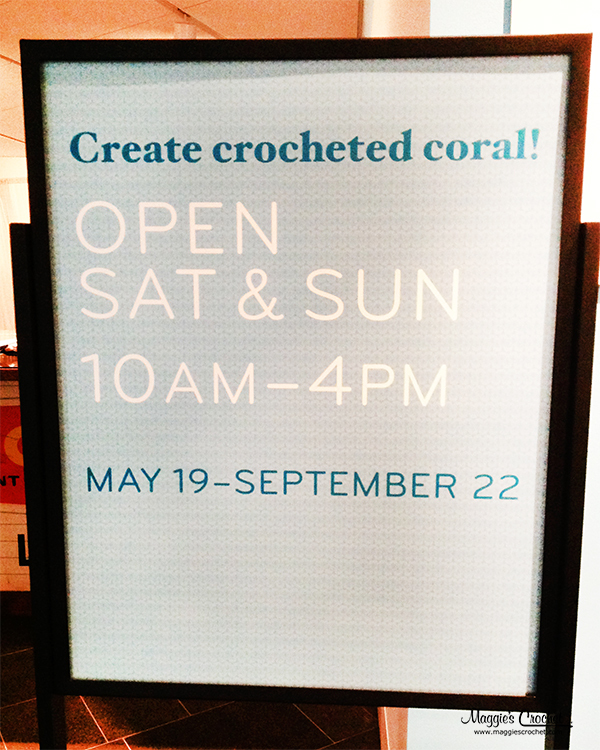 Why crochet a coral reef?